CCA Lagos at ISCP is an institutional residency that presents selections from CCA Lagos’s archives as well as the exhibition Orí méta odún méta ibìkan. This panel discussion—moderated by long-term CCA Lagos collaborator Jude Anogwih—will focus on past projects at CCA Lagos by three New York City-based artists: ruby onyinyechi amanze, Simone Leigh and Pinar Yolacan. In Nigeria, CCA Lagos provides a platform for the development, presentation, and discussion of contemporary visual art and culture. It seeks to create new audiences and to prioritize media such as photography, film and video, performance and installation art which were traditionally underrepresented in Nigeria. 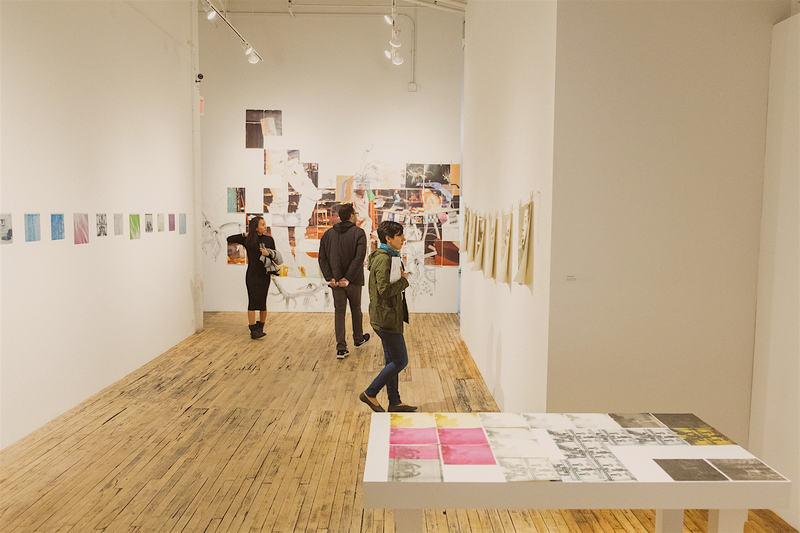 The institution supports and presents the intellectual and critical work of art and culture practitioners through exhibitions and public programs. In addition, it encourages and promotes the professionalization of art production and curatorship in Nigeria and West Africa collaborating with artists, curators, writers, theorists and national and international organizations. ruby onyinyechi amanze is a visual artist born in Nigeria whose practice is primarily centered around drawing and works on paper. In 2012–2013, amanze was a Fulbright Scholar at the University of Nigeria, Nsukka. In 2016, she was selected as a finalist for the prestigious Prix Canson drawing prize. 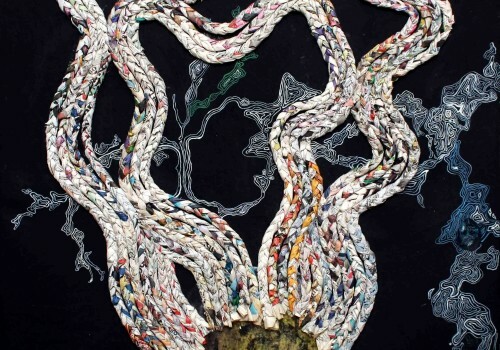 She has exhibited her work internationally in Lagos, London, Johannesburg and Paris, and nationally at the California African American Museum, the Drawing Center and the Studio Museum in Harlem. Jude Anogwih is a visual artist and curator living and working in Lagos, Nigeria who has coordinated, organized and curated projects at CCA Lagos since 2008. Recent curatorial projects include Videonale in Lagos, 2016; Biennale Jogja XIII, Indonesia, 2015; ARENA (where would I have got if I had been intelligent! ), Centre for Contemporary Art, Torun, Poland, 2014; Whose Centenary? Project, Benin, Nigeria, 2014; Kelani Abass: Àsìkò: Evoking Personal Narratives and Collective History, co-curated with Bisi Silva, CCA Lagos, 2013; and Sights and Sounds: Global Film and Video, Jewish Museum, New York, 2013–2016. Anogwih was a Goethe-Institut Fellow at dOCUMENTA (13), Kassel. Simone Leigh’s practice incorporates sculpture, video, and installation, all informed by her ongoing exploration of black female subjectivity and ethnography. In 2016, Leigh received a John Simon Guggenheim Fellowship, the Herb Alpert Award for Visual Art, and A Blade of Grass Fellowship for Socially Engaged Art. Recent projects and exhibitions include Psychic Friends Network, Tate Exchange, Tate Modern, London, 2016; The Waiting Room, New Museum of Contemporary Art, New York, 2016; The Free People’s Medical Clinic, commissioned by Creative Time, 2014; inHarlem, public installation presented by The Studio Museum in Harlem at Marcus Garvey Park, New York, 2016; and a solo exhibition at the Hammer Museum, Los Angeles, 2016. Pinar Yolacan is a multidisciplinary artist based in New York and Sao Paulo. Born in Turkey, Yolacan has had solo shows at Yapi Kredi Foundation, Istanbul; Finnish Museum of Photography, Helsinki; and CCA Lagos. Since 1997, reviews about her work have appeared regularly in The New York Times, Art in America, ArtReview, Bidoun, The Sunday Times, British Journal of Photography, Vogue and i-D magazines. Her work is in the permanent collections of The J. Paul Getty Museum, Los Angeles; Museum of Fine Arts, Boston; KIASMA Museum of Contemporary Art, Helsinki; International Center of Photography, New York; and Saatchi Gallery, London. This program is supported, in part, by Dennis Elliott Founder’s Fund, Greenwich Collection Ltd., New York City Council District 34, New York City Department of Cultural Affairs, in partnership with the City Council, New York State Council on the Arts with the support of Governor Andrew M. Cuomo and the New York State Legislature and The Andy Warhol Foundation for the Visual Arts. CCA Lagos at ISCP, installation view, 2017. Photo by Luc Kordas. Documentation of the Panel Discussion (Part I of II). Documentation of the Panel Discussion (Part II of II). 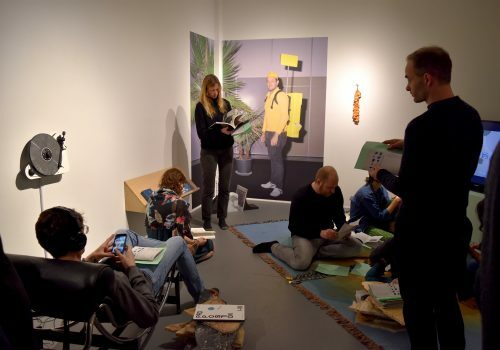 Cohabitating is a program organized in collaboration by ISCP artists-in-residence Bita Razavi and Danilo Correale and students from the Center for Curatorial Studies, Bard College (CCS Bard). The program aims to momentarily extend Razavi’s and Correale’s artistic practices beyond the confinement of their studios through the activation of two different works. Each of these works encourages the audience to participate and move across different locations within ISCP’s three-story building. Bita Ravazi’s work-in-progress Coloring Book for Concerned Adults (2017) is a coloring activity that engages with social and political data to process current events. The activity of coloring has a calming effect on the absorption of the intense infographic information presented. 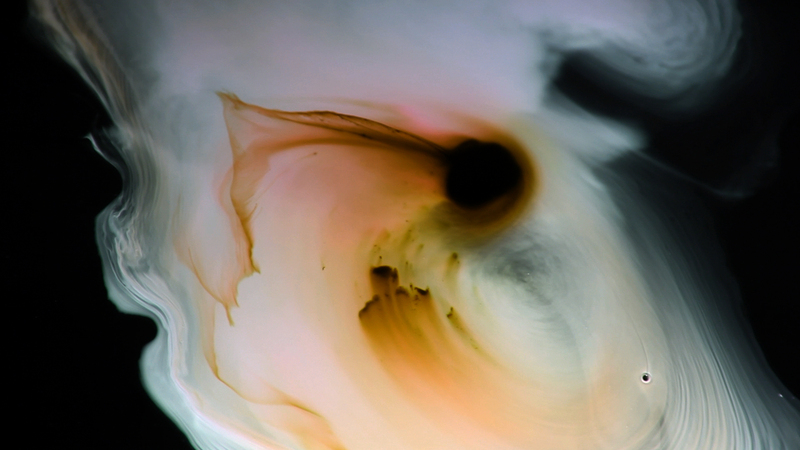 Danilo Correale’s video No More Sleep No More (2014–15) is a series of conversations with various experts on the topic of sleep, investigating wakefulness as a never-ending production model of postmodernity. These bodily activities of coloring and meditation will function as methods to temporarily disassociate viewers from harsh presentations of current social and political events, while reflecting on different states of consciousness, in action or at rest. Danilo Correale is an Italian artist who currently lives and works between New York and Naples. He is the founder of the think tank and label Decelerationist Reader and has contributed to several publications in the field of critical theory including Shifter, No Order and South as a State of Mind. His most recent publications include The Game – A three sided football match, FeC, Fabriano, 2014 and No More Sleep No More, Archive Books, Berlin, 2015. His work has been presented in solo and group exhibitions including the 16th Art Quadriennale, Palazzo delle Esposizioni, Rome, 2016; Tales of Exhaustion, La Loge, Brussels, 2016; Pigs, Artium Museum, Vitoria-Gasteiz, Spain, 2016; Ennesima, La Trienniale de Milano, 2016; Kiev Biennial, 2015; The Museum for Modern and Contemporary Art of Bolzano (Museion), 2015; Museum of Contemporary Art Donnaregina, Naples, 2014; Steirischer Herbst Festival, Graz, 2013; Fondazione Sandretto Re Rebaudengo, Turin, 2012; Manifesta 8, Murcia, Spain, 2010; Moscow Biennial, 2010; and Istanbul Biennial, 2009. Bita Razavi is an artist born in Iran who lives and works between Helsinki and Metsakivi, Estonia. She graduated with a BA in Music from Tehran Art University and obtained a Master’s degree in Fine Art from the Finnish Academy of Fine Arts, Helsinki. She has exhibited her work at Tehran Museum of Contemporary Art; 1st Trondheim Biennale, Finland; Finnish Museum of Photography; XV Biennale de la Méditerranée, Thessaloniki; Helsinki Photography Biennale; Design Museum, Helsinki; Videobrasil; SESC Pompeia; Cité international des Arts, Paris; Fotografisk Center, Copenhagen; Göteborg International Biennal for Contemporary Art; and National Art Museum of Ukraine. Marta Cacciavillani is an Italian curator and writer based in New York. 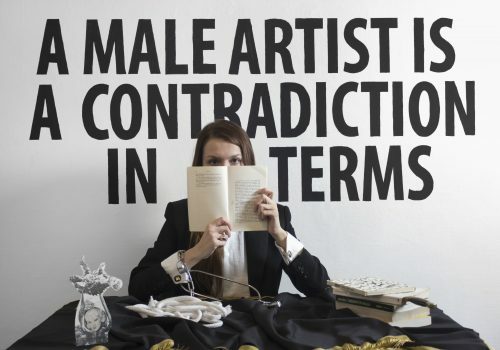 She holds a BA in Art Criticism and Curation from Central Saint Martins, London. Recent curated projects include, The Written Language of Reality, featuring works by Yto Barrada, Basim Magdy, Pier Paolo Pasolini and Akram Zaatari, and Carta Blanca: Gabriel Orozco, both at the Hessel Museum of Art, 2017; and the collectively curated event series We Are the Margins, P!, New York, 2016. She is currently an MA candidate at CCS Bard. Stephanie E. Goodalle is a New York based curator. Stephanie received her B.A in Art History from Spelman College in Atlanta in 2014 and is completing her MA in Curatorial Studies at CCS Bard. Goodalle’s exhibition Other Articulations of the Real featuring Torkwase Dyson, Cameron Rowland, Shawn Theodore, and Sable Elyse Smith is now on view at the Hessel Museum of Art, Bard College, 2017. Lian Ladia is a curator from Manila, Philippines. She is the co-founder of the Southeast Asian platform Plantingrice.com with Sidd Perez, a curatorial collaborative focused on repotentializing spaces, and recovery and rehistoricization in Southeast Asian contemporary art histories, with a emphasis on Manila. In 2015, she attended the De Appel Curatorial Programme in Amsterdam. She is currently completing her graduate studies at CCS Bard. This event is organized by Marta Cacciavillani, Stephanie Goodalle and Lian Ladia from the Center for Curatorial Studies, Bard College in collaboration with Danilo Correale and Bita Razavi, artists in residence at ISCP. This is part of a collaboration between ISCP and CCS Bard that is now in its second year. This program is made possible, in part, by New York City Department of Cultural Affairs in partnership with the City Council and New York State Council on the Arts with the support of Governor Andrew M. Cuomo and the New York State Legislature. Danilo Correale, No More Sleep No More, 2014, video still. Courtesy the artist and Raucci Santamaria Gallery. Bita Razavi, Coloring Book for Concerned Adults, pen on paper, work in progress. Courtesy the artist. 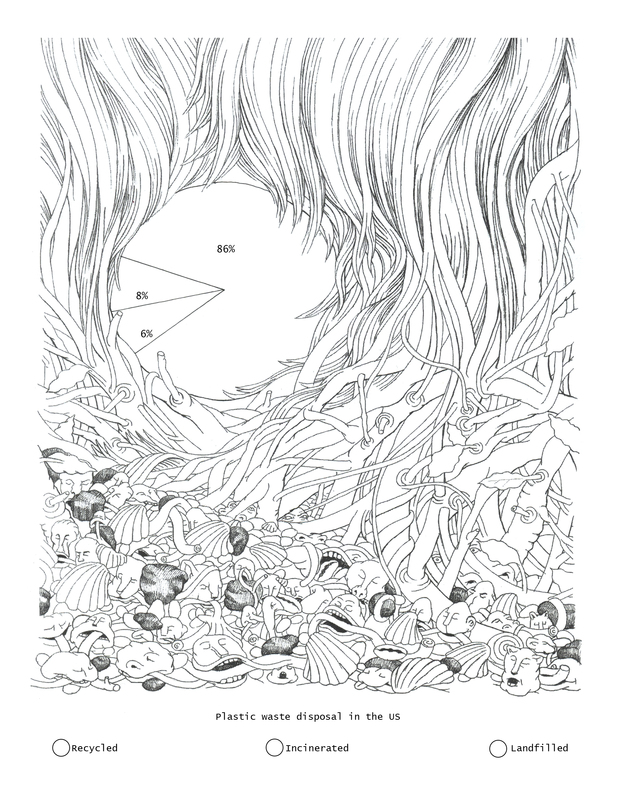 Drawing around the graph by Eeva Honkanen. 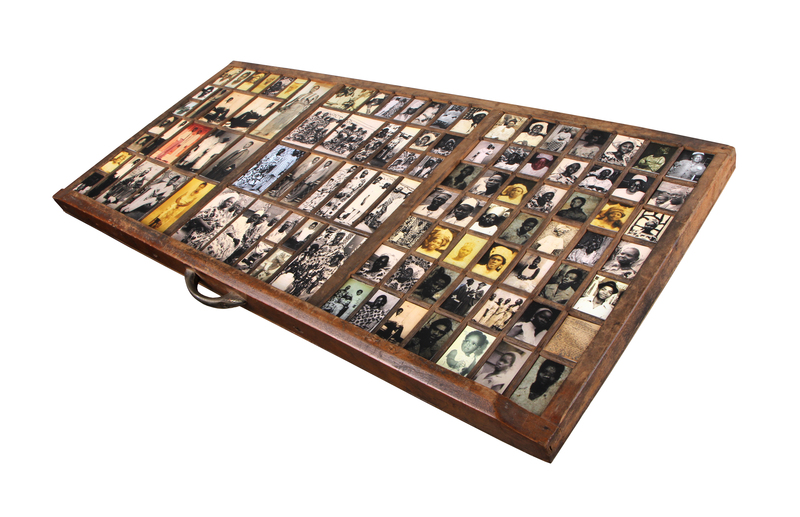 Kelani Abass will speak on the impact of digital technology and photography on painting, the role of archives in making African history, and the significance of the Centre for Contemporary Art, Lagos on his practice. He will also engage the audience in a participatory performance using a manual hand numbering machine. Abass lives and works in Lagos, Nigeria. 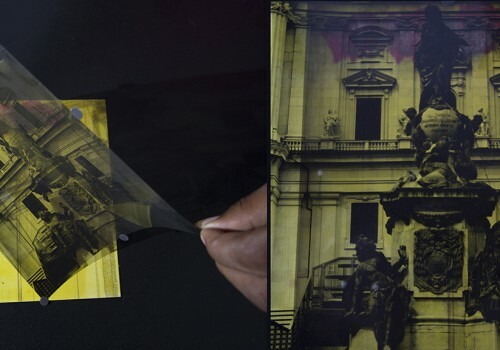 His work explores the possibilities inherent in painting, photography and printing using archival materials to highlight personal stories against the background of social and political events. This program is supported, in part, by The Andy Warhol Foundation for the Visual Arts, Dennis Elliott Founder’s Fund, Greenwich Collection Ltd., New York City Council District 34, New York City Department of Cultural Affairs, in partnership with the City Council, and New York State Council on the Arts with the support of Governor Andrew M. Cuomo and the New York State Legislature. Kelani Abass, Casing History 4, 2016, letterpress typecase and digital prints, 14 × 32 in. (35.56 × 81.28 cm).